Customers are more expressive today than ever. Given the penetration of internet, even children and teenagers have taken to social media to express dissatisfaction, with certain products or companies. Few airlines don't respond to complaints via email or phone. When a customer tags them on twitter, they immediately connect with that customer to fix the problem. Because the whole world is watching them. Live. Airlines use Twitter, Facebook, and other social media to promote their business. Customers use the same media to highlight problems, complain about problems or appreciate good gestures. When one customer does something on social media, hundreds and thousands join them, because they sympathize with the user. This leads to a small complaint or appreciation growing manifold, thanks to the retweets, likes or comments of many other customers, who went through similar experiences with the same airline or some other airline. In case of negative feedback, the brand value of the company plummets, in a matter of minutes or hours or days - the brand that was built over many years, hits the dust of the ground, with one tweet or post. The companies start wondering what went wrong. Take the case of United Airlines incident. A common seating problem on one of their flights in April 2017 ended with a man being bloodied and dragged from his seat and an already troubled airline earning more bad press. How did it all go so wrong? Firstly, the passenger was treated like a criminal although he paid for his seat. Secondly, the CEO, Oscar Munoz is believed to have defended the airline's action in an official email to his employees that it was the right thing to do. Overbooking on flights happens all the time. Airlines boost their profit margins by overselling, betting against the number of passengers who will miss their flights. In this case, the problem arose because United decided at the last minute to fly four members of staff to a connection point and needed to bump four passengers to make way for them. One bad thing led to another bad thing that eventually led to the downfall of United Airlines. Users are giving feedback for free. No interviews, no surveys, at zero cost. For FREE. KLM Airline has a dedicated social media team to serve customers. What started as a three member customer support team during the eruption of Icelandic volcano, Eyjafjallajökull in 2010 with employee volunteers, grew to 250 employees working full-time by 2015. In November 2014, KLM announced that they made €25m from social media segment alone. These are the fruits for listening to customers all the time and responding in the best possible way. When things go wrong (and things do go wrong), if companies acknowledge the problem and fix it, customer loyalty only goes up. "Encourage customer behavior and create a strong customer support system around it. 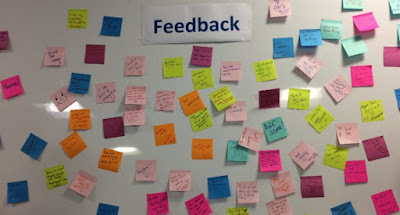 Create an environment where users can give feedback, early and often. This leads to customer retention and loyalty." 2. Delegate it to your managers. Build in close monitoring, training, and feedback. Have them walk the floor, co-creating with their teams. Technical Managers handling product teams for airlines need to closely monitor customer feedback and work with the development teams to fix problems. Hands-on managers who know about incoming issues in depth can be of great help during problem resolution phases. App stores are a great source of feedback for airline mobile apps. Products like Appbot, and Gnip help you identify specific problems, as well as problem patterns. They also categorize problems so product teams can learn quickly about which features are performing well and which are not.With individual teams focused on building specific features into the product, technical managers, product managers and relevant stakeholders must keep an eye on customer feedback on app stores and other media to offer timely resolutions. People who run airlines are business people, who need a strong technology hand to support them. Highly capable technology teams need to close this gap, monitor and gather customer feedback and support business teams by acting quickly during disruptions. Every customer who is online, leaves a digital footprint, whether he likes it or not. This footprint can be used to construct the preferences of the customer. Analytics plays a great role in offering humanizing experiences based on customer data and past history. Products need to be coded to capture critical events, actions etc and create patterns around product usage. Products like Adobe Experience Manager, Firebase, MixPanel, Omniture and several others assist products to capture exactly what a customer does as part of his journey. Analytics can identify where users err often, how many times do they abandon the journey and why they do so. This, in turn, can guide the long term vision and roadmap of the products. Airlines need to have a strong analytics wing that studies customers for several years and months. Data coming out of such analytical research is used to target specific customer segments, push promotional offers customized to their needs, give them what they need it, exactly when they need it. Analytics teams need to work closely with product development, social media, marketing and branding teams to accomplish good customer service for customers. Back in 2010, when the Icelandic volcano broke out, many flights were disrupted, In particular, KLM Airline was worst affected of other airlines. They did not hike up prices for upcoming flights or seek a penalty from customers for canceled/delayed flights. Instead, they focused on helping customers, who were stranded for many days. They made sure that customers were informed about this natural disaster and they made alternate arrangements for them. This, in turn, re-enforced customer's trust in the brand called KLM. At KLM, social media teams respond to tweets from customers to book a flight ticket, modify seats, purchase special meals and even search for their lost item. Queries are answered on twitter. In most instances, customers get a response in less than 13 minutes of their tweet or post going public using KLM handle. Payments are made using a payment plugin on Facebook. KLM has built many custom products to enable better outreach to customers. KLM would never have imagined coming this far, and be profitable in this pursuit. How did this happen? KLM has the best social media team in the world. This happened over a period of 5 years. Good reputation didn't come easy. They worked hard for it. KLM focused on building a Customer Service oriented culture. Culture plays a key role in how an organization grows over a period of time. Empowered employees go to great lengths to do great work, in turn inspiring their peers. First and foremost thing is to keep employees happy, focused and empowered. Allowing employees to fail, learn and move on is critical to creating an open culture where great stuff gets built. "You've probably guessed that the most valuable one, the fourth, is also far and away the most difficult to create. Culture is a posture that lasts. It's corroded by shortcuts and by inattention and fed by constant investment and care. Big company or small, it doesn't matter. There are government agencies and tiny non-profits that have a culture of care and service. And then there are the rest…"
How do you handle customer service?